While we build the Agent Sales Center, we are making available a series of training videos (recordings of our sales training webinars for Aetna, Kemper, Medico and Standard Life & Accident). Agents who are already appointed under the Advisory Center’s hierarchy to sell short-term care insurance from any one of these companies can access and watch all the videos for free. 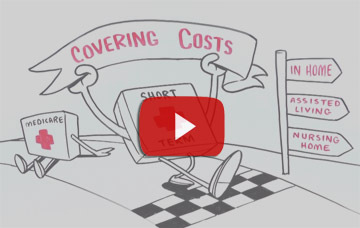 Simple send an Email to jslome@shorttermcareinsurance.org and REQUEST VIDEO ACCESS. If you are not currently appointed and wish to become appointed to sell, please call our offices at 818-597-3205. If you are appointed under another agency hierarchy, we will be making access to the Agent Center available for a nominal annual subscription cost ($199-per-year). We hope to have this completed by December 31. Enter your Email to be notified when the Agent Center is available for access.